Have you considered the benefits of installing a wet room into your Southampton home? At Stile-It, we have years of experience in transforming people’s homes with our beautiful wet rooms. Wet rooms have become increasingly popular over the last decade, and by choosing Stile-It to design yours, you will receive the best wet rooms Southampton has to offer. Many of the clients who have employed our team at Stile-It to create a beautiful wet room in their Southampton home have done so for mobility and disability reasons. A number of our clients are elderly and they love that wet rooms make showering safe and easy. You no longer have to climb in and out of the bath and the wet room has drastically reduced the risk of slipping over. We understand that if you have a disability, you want to retain as much independence as possible. A wet rooms gives you the ability to be self-supporting as you no longer have to be reliant on a carer to help you bath or shower. At Stile-It, we offer a variety of different wet room options. You can have either an easy access shower, disabled shower or walk-in bath installed, depending on your needs. All of our easy access showers and baths have the option of shower seats and grab rails installed if you so wish. Since launching in Southampton over 15 years ago, Stile-It has gone from strength to strength. During our time in the industry, we have created beautiful wet rooms, plumbing, tiling, underfloor heating and standard bathroom types for a variety of different clients. We are experts in designing, creating and installing bathrooms into all shape and sized rooms, so no project is ever too difficult for us to handle. We are so confident in our work, that we give every customer who purchases one of our bathrooms or wet rooms a 2 year workmanship guarantee, as well as a 5 year product guarantee. To see examples of the beautiful wet rooms our professional team have created in Southampton, view our gallery. 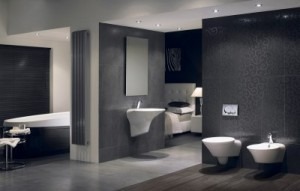 At Stile-It, we are the leading company for installing beautiful wet rooms. Southampton homes will be transformed when you employ our services. For more information, or to arrange an appointment for a consultation, call us on 02380 633966.